Research on cybercrime has been largely bifurcated, with social science and computer science researchers working with different research agendas. These fields have produced parallel scholarship to understand cybercrime offending and victimization, as well as techniques to harden systems from compromise and understand the tools used by cybercriminals. The literature developed from these two fields is diverse and informative, but until now there has been minimal interdisciplinary scholarship combining their insights in order to create a more informed and robust body of knowledge. This book offers an interdisciplinary approach to research on cybercrime and lays out frameworks for collaboration between the fields. Bringing together international experts, this book explores a range of issues from malicious software and hacking to victimization and fraud. This work also provides direction for policy changes to both cybersecurity and criminal justice practice based on the enhanced understanding of cybercrime that can be derived from integrated research from both the technical and social sciences. The authors demonstrate the breadth of contemporary scholarship as well as identifying key questions that could be addressed in the future or unique methods that could benefit the wider research community. This edited collection will be key reading for academics, researchers, and practitioners in both computer security and law enforcement. This book is also a comprehensive resource for postgraduate and advanced undergraduate students undertaking courses in social and technical studies. "This innovative, and very interesting, book brings new perspectives to a phenomenon that has been around for many decades. I found all of the chapters to be thought-provoking in terms of the new perspectives they bring to this old problem. I recommend the book in the highest possible terms, for those who study cybercrime, for law enforcement and for the intelligent citizen who would like to learn more about this often neglected criminal threat." 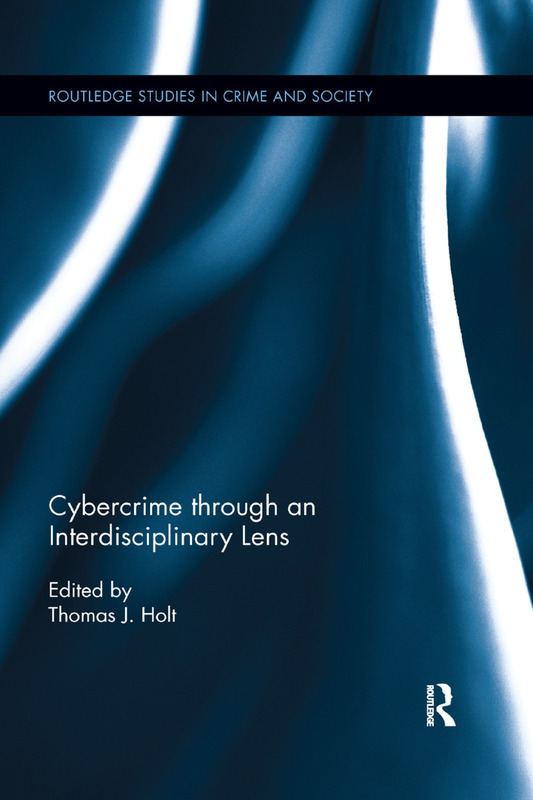 "What I find so refreshing about Tom Holt's new collection is that it brings new and established authors together to present a range of different interdisciplinary perspectives on cybercrime. It marks a welcome shift in approach and will help improve our collective understanding of a phenomena that is progressively intruding into every aspect of our everyday lives." "With the scourge of cybercrime permeating nearly all online activity, it is imperative that we understand the nature of the threat and how it is evolving. This requires solid research within a broad range of social and technical disciplines, including criminology and computer science. Cybercrime Through an Interdisciplinary Lens offers a wealth of information and insight about the state of that research and how to move it forward." Thomas J. Holt is an Associate Professor in the School of Criminal Justice at Michigan State University, USA.